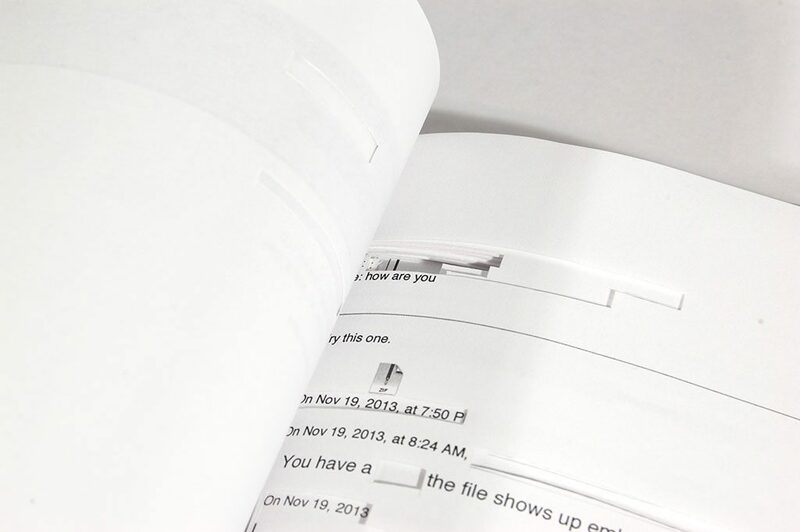 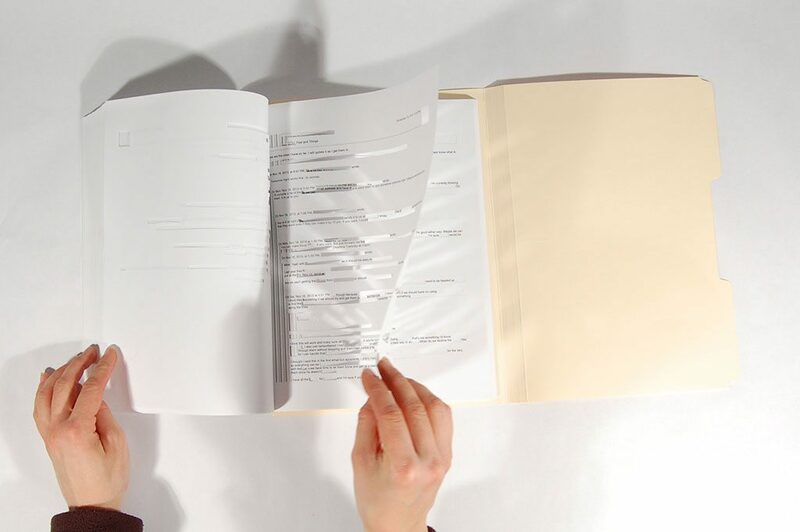 A days worth of manually redacted emails bound in a book. 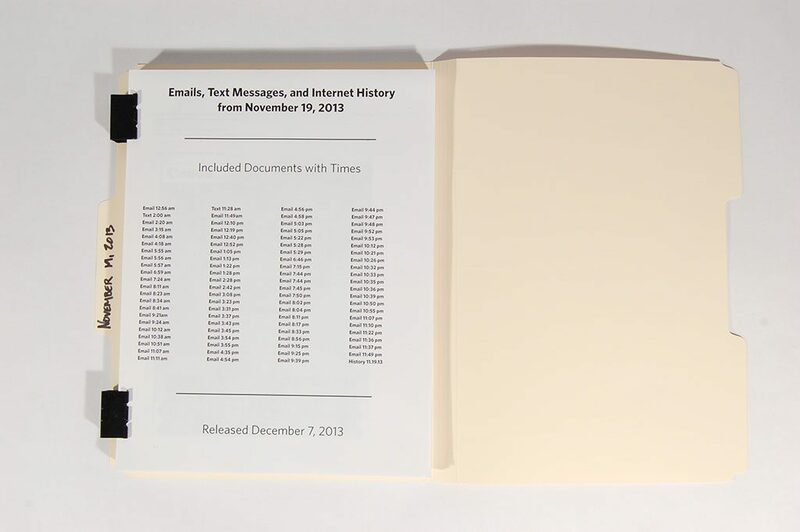 Information that was potentially identifying was cut out of each email. 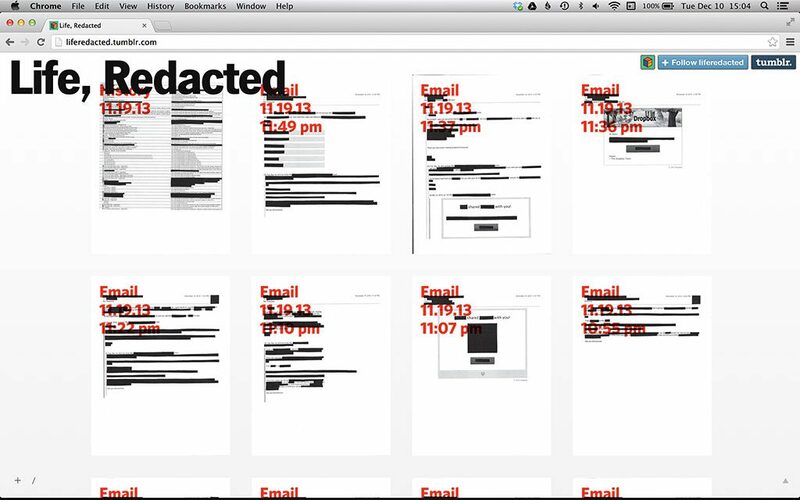 The digitally redacted emails were also posted on a tumblr.